The Franconia location’s exterior, shown here encased in snow, is located at the foot of Cannon Mountain’s Front Five. There was a time when New Hampshire was the focal point of the skiing world in the United States. People like Sel Hannah and Hannes Schneider, and even newsman Lowell Thomas, found themselves shaping the American ski industry from this small northeastern state. The New England Ski Museum transports visitors to the days when the steep, rugged peaks throughout the White Mountains drew enthusiasts, investors and innovators from around the world. History: Opened in December 1982, the museum now sees 20-30,000 visitors annually. The busiest time of year is from May through October. Step through the front door of this unassuming structure tucked into the foot of Cannon Mountain’s Front Five and a vibrant collection of equipment, art and artifacts breathes life into the story of the Granite State’s skiing history. Leich weaves through the exhibits that fill the museum, pointing out rare items and pieces worth a closer look. The perimeter of the building holds the permanent exhibit, giving guests an overview of skiing from its earliest days – from the Stone Age up through New Hampshire’s best-known skiing son, Bode Miller. Five of Miller’s six Olympic medals are currently on loan to the museum. The central space hosts a rotating exhibit that changes annually. This year, “Skiing in the Granite State” is on display. A photographic essay of New Hampshire’s alpine history guides visitors deeper into the room, casting light onto shadows of the past: images of the Nansen Ski Club; Sel Hannah, the father of ski area design; and former New Hampshire Governor Sherman Adams – President Dwight D. Eisenhower’s chief of staff and original developer of the Loon Mountain ski area. Five of Bode Miller’s six Olympic medals are currently on display. Prize pieces include Bode Miller’s medals, and a rather unusual item not normally associated with skiing: an Ethiopian sword that was discovered by the 10th Mountain Division – a mountain combat unit – during its time in Italy. At the end of World War II, the division was near a villa Mussolini had occupied in Lake Garda. The soldiers went into his villa, obtained the sword and gave it to the commanding officer, General Hayes. Years later, Hayes gave it to Charles Minot “Minnie” Dole, the civilian inspiration behind the 10th Mountain Division – and then Dole’s family passed it on to the New England Ski Museum. As much as there is to see, it’s just a fraction of what the New England Ski Museum has in its collection. There’s another building at Cannon – twice the size of the museum itself – holding a further trove of skiing treasures. This season, however, space will be among the museum’s other assets. The New England Ski Museum is expanding its operations to include an additional museum located roughly 50 miles down Route 302 in North Conway. Scheduled to open this season, the new location will provide the museum with more exhibit space and the opportunity to reach even more members. Sitting on the edge of Schouler Park, right on Main Street adjacent to the Victorian train station, the new location will provide visitors with a similar look at the state’s skiing history. The museum’s exhibit, “Skiing in the Granite State” features a photographic essay of New Hampshire’s resorts through the years. Floor plans reveal space for exhibits focusing on iconic stories and skiers, a ‘Firsts and Losts’ section, and a reading room with a fireplace. New England skiing legends will also be in the spotlight at the North Conway site, along with a museum shop and additional interactive exhibits. The former North Conway Community Center, it will also give administrators ample room for storage in its 4,200-square-foot space. 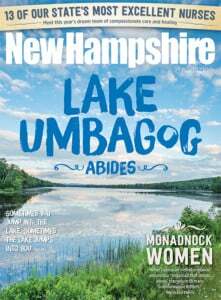 Mirroring the Franconia location, North Conway’s branch will feature a closer look at Tuckerman Ravine – the irresistible slope that has lured skiers for generations. A massive, wall-sized image of brave skiers trekking up the bowl dominates one wall in Franconia – a shot taken in April of 1969 – and will also welcome visitors to the North Conway site.